How do you properly Package a Deal? IT’S ALWAYS INTERESTING to find some Commercial property investors still feel contracts need to include a “subject to finance” clause – so they can check whether or not funds will be available. However, they’re actually approaching things from the wrong angle. You see, you don’t need your finance approved before entering into a deal, and it becoming unconditional. Besides, in the current commercial market, vendors will not allow you to take the property off the market for any length of time, for you to get your finance approved all. So, what I have done with my consulting team is to include one of Melbourne’s leading valuers – who are on 95% of all valuation panels for lenders. And if you know in advance the figure such a valuer will support … you also know it will be acceptable to the lender. Firstly, to make sure you do not pay more than what the financier would be prepared to lend against. That is important, because you don’t want any surprises down the track. And many people over the years have felt they’ve negotiated a top deal, only to find the banks will not lend the 70% – based on the contract price. The second reason for including the valuer is … being armed with that upper limit, you can also find that very helpful when negotiating with the vendor, or the vendor’s agent. Particularly, when you reach an impasse – where you can disclose the valuer’s figure to the selling agent, who can confront the vendor without appearing talking down the price. In other words: If you don’t buy it, then everyone else looking at the property is going to have exactly the same problem. And it tends to bring some reality to vendors – helping to lower their expectations as far as price is concerned, if you get down to the very last phase of the negotiation. I said they were three reasons … but more on that in another article. The main point is that you start taking control of the whole finance process. Because, you have the comfort of knowing you’ve not overpaid. But more importantly, you are able to avoid any nasty surprises down the track – through unwittingly agreeing to a price, not be supported by a valuation. So therefore, with this in place, you are ready to negotiate to buy the property. One of the very first thing you need to understand about negotiating is that it is a process – not an event. And it is something that cannot be hurried. And if you do rush things, one or other party will feel they have sold it too cheaply, or paid too much. Therefore, you need to respect the negotiation process – which in simple terms comes down to only three elements. The first one is Power, the second one is Information and the third is Time. As you delve deeper, you find there are probable a 7 or 8 different sources of Power. And as a new comer to negotiating, you’ll discover you actually have far more power than you imagine. It simply comes down to understanding what constitutes power and how it’s used. And we are talking about the ethical use of power, NOT the manipulation. When it comes to Information, most people don’t realise the other side is prepared to share information with you … before the negotiation starts. And you can use that to your advantage down the track, during the course of negotiation. During the information stage, you need to identify are the motivations of the other party, which might relate to price or settlement. They might have a deadline; or perhaps be under financial pressure. 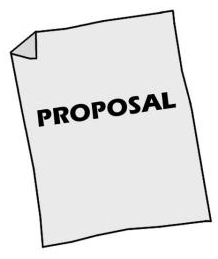 By identifying what that is, you can then structure your purchase proposal – to provide to them what they need, while also achieving what you want out of the negotiation itself. The secret is to have more than one item under the negotiation throughout the process. The third crucial aspect is … Time. You use time to your advantage over the course of negotiation, to gain the confidence of the other side – building commitment in small steps along the way. What I general find is 80% of the concessions occur in the last 20% of the negotiation as you get closer to a deadline. And in most cases, the stated deadlines people give you will prove to be artificial. We won’t have time to go into them all, but the main ones common to all commercial property Proposals would be the Price (obviously); the Due Diligence you’ll need to carry out on the property; and the actual Settlement Date. You see, if the only thing under negotiation is price (which is what most people tend to focus on) … then someone is going to lose. And so, the more “balls you can have in the air” at any one time takes the focus away from the price – and leaves the other side feeling they have extracted the best deal. The settlement date may start out at 120 days – knowing full well that you can settle in 60 or (if pushed) in 45 days. You might initially proposed a deposit of 5% at the signing of contract, and a further 5% as soon as the due diligence is complete. Ultimately, it will end up with the usual 10% deposit. But then again, it is merely a negotiating tactic – and something you should try. For properties over $1 million, undertaking due diligence is important. However, most people tend to get the things out of order. Because, if you undertake your due diligence before submitting your initial proposal, the implication is the figure you are offering already takes account of any impediment you found within the property. This won’t extend things, because it is done during the agreed settlement period. You are simply reserving the right to verify everything. Once again, you might start out that 21 business days – which is actually a month when you take in weekends. The reality is, you could complete your due diligence in 7 business days – which is actually 10 full days. It it just makes it sound shorter. The important thing when negotiating is avoid leaving the other side feeling they may have lost out. Of course, before entering into negotiations … you would have already done your preliminary assessment of the property. And if found suitable, then conducted a more-detailed financial analysis. However, that’s perhaps something we can explore in more detail during another article.